Bellora is a small residential development carved in the Indian Beach area west of U.S. 41 and north of downtown Sarasota. Although deed restrictions cover Indian Beach, Bellora’s developer secured a permission to build new custom homes in this historic locality which is host to some of the oldest local neighborhoods. Bellora occupies an eight-acre parcel erstwhile called Emerald Forest, which was previously planned for a 23-home community named the Houses of Indian Beach. Its development stalled during the Great Recession and was again pursued sometime in 2015 under the banner of Legacy Builders on the West Coast. 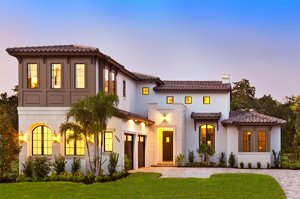 Prospective buyers of Sarasota homes for sale can choose from three luxurious designs that Legacy Builders set at Bellora. These designs, priced starting from the $900s, draw their inspiration from Spanish and Mediterranean architecture with some touches of the Old Florida style. One of these floor plans, the three-bedroom Bellagio floor plan with a floor area of nearly 2,700 square feet, emerged as one of the category winners during the 2016 Sarasota Manatee Parade of Homes. With the outstanding design of this model home, coupled with the meticulous planning that went into the neighborhood, the Bellora development was also named as the “Best Overall” in its category amongst the 10 communities featured in this annual builders’ showcase. As captivating to prospective buyers of Bellora homes for sale, Indian Beach and its neighboring Sapphire Shores community share quaint roots. This area, which has a combined neighborhood association, was a pre-historic settlement of Native Americans. The first Europeans settlers occupied this locality starting in the mid- to late 1800s. In later years, circus magnate John Ringling built his home in this area and developed charming neighborhoods around it. 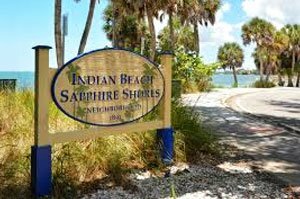 Indian Beach and Sapphire Shores now also share part of Sarasota’s center of arts and culture, an area often referred to by locals as the “museum district. 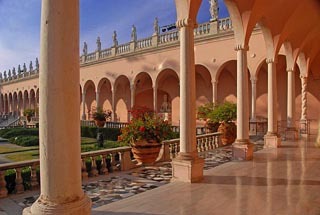 The John Ringling Museum, the Ringling School of Art, and the New College of Florida are within a short walk or an easy bike ride from these communities. With all these institutions so close, living in Bellora means having as neighbors a mix of well-to-do homeowners middle-class academics, young professionals, artists, and college students. The other points of interest in the Indian Beach area are likewise magnets to Bellora home buyers. Their locality hosts the Sarasota Jungle Gardens which keeps some 150 exotic and native animal species. Its collection includes not only parrots and macaws but also birds of prey, as well as small mammals, primates, and various reptiles. It also features lush and verdant botanical gardens, in addition to a pond with a population of pink flamingos. Recreational activities are available too at the nearby Smuggler’s Cove Adventure Golf. As enjoyable is a visit to this locality’s North Watertower Park featuring one of the best Frisbee golf courses in Sarasota. Additionally, the bayfront stretch of Indian Beach offers magnificent sunset views, while Sapphire Shores regularly hosts special community events at the adjacent Sun Circle Park to seal the endearing character of Bellora homes for sale. Below are the current real estate listings available at Bellora Houses of Indian Beach.